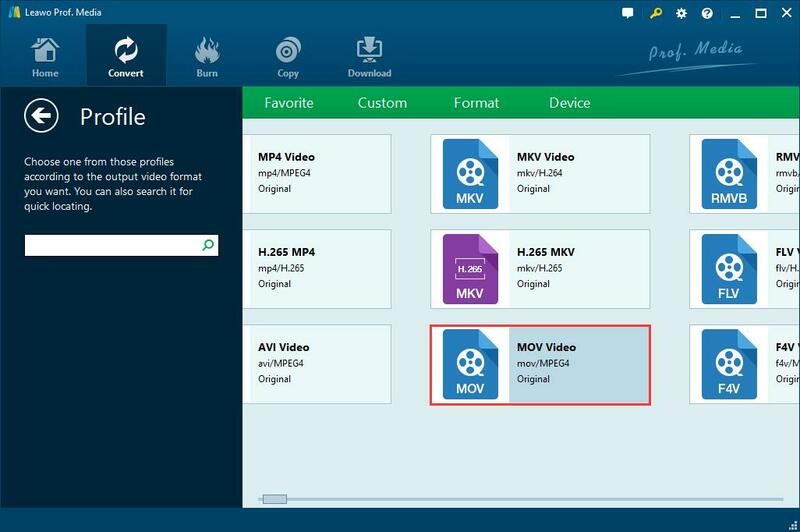 How to Convert MOV to iPad for Freely Playback? Apple users, especially those who regularly download videos, are probably familiar with MOV format. If you also like to download video or movie to your apple device, believe that you will find that although MOV video files are supported by Apple devices such as iPad, some MOV files is still can’t be played by iPad. How to watch MOV on iPad freely? Today in this post I will help you solve this problem. Part 2: Why need to convert MOV to iPad? In the first place we need to know what is MOV. As is well-know, MOV is a computer file format used natively by the QuickTime framework which is also known as QuickTime File Format (QTFF). It is a multimedia container file format which can contain one or more tracks and each track can store a particular type of data such as video audio or text. Not only that, each track contains a digitally-encoded media stream, which means that MOV can be encoded with many video formats. In other words, different MOV files will have different encoding formats. From what has been mentioned above, we may come to the conclusion that MOV can be encoded with different formats. It’s not hard to understand the problem mentioned above. According to Apple official website, only the MOV format encoded with H.264 or MPEG-4 can be supported by iPad. Hence, if the MOV files we downloaded are encoded with some other codes just like MPEG-1 or VC-1， there is no doubt that such files must not be played on iPad. To solve this problem, a MOV to iPad converter is necessary because it can help us convert the MOV files encoded with other formats to the format supported by iPad. That’s the main reason why need to convert MOV to iPad. If you have read the introduction above, I’m sure you will ask me where we can download the MOV to iPad converter. Although it’s easy to find many MOV to iPad converters on the Internet, Here I recommend Leawo Video Converter. Leawo Video Converte is an all-in-one video converter which is popular with all kinds of users for its multi-functions and convenient operation. With the help of Leawo Video Converter, you don’t need to worry about any quality loss. In addition, not only converting MOV to iPad, but other conversion jobs can also be handled perfectly by Leawo Video Converter. It is widely used for many videos and audio conversions including MP4, MOV, MKV, 3GP, AVI and so on, definitely it can help you to accomplish this task. You need to download and install Leawo Video Converter first. It takes only a few minutes to finish. Firstly, open the Leawo Video Converter and enter the main interface. Click the “Add Video” button on the left edge of the interface and then you can import source MOV video files to Leawo Video Conevrter. Call out the drop down menu by clicking the “MP4 Video” button near the “Add Photo” button and then we can select the output format. Click the “Change” option you will enter a child interface in which you can find the “Format” sub-tag. Select the “MOV Video (MPEG-4)” as the output format. Note: If you think it’s a hassle to find the MOV format in so many formats, the “Device” sub-tag will help you a lot. After clicking the “Change” option and enter the child interface, choose the “Device” instead of the “Format” and then you will find the “iPad” device. 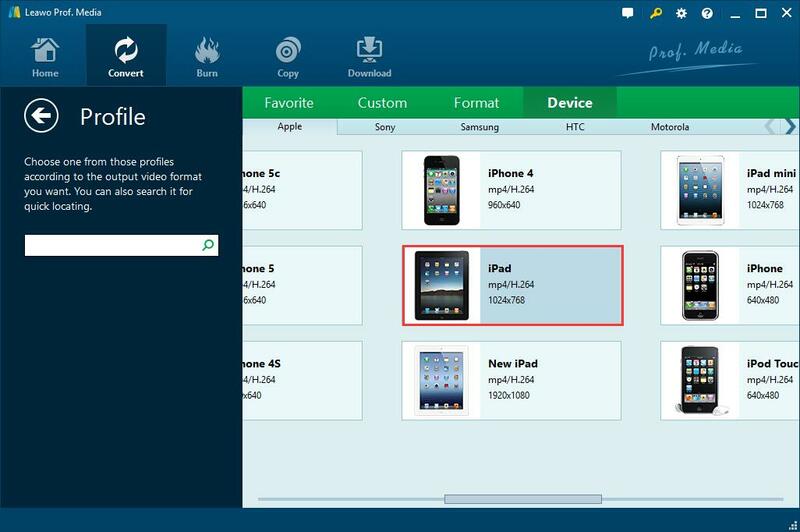 Leawo Video Converter will also help you to convert MOV to iPad if you select the “iPad” as the output device. Set the output file on the popup sidebar by clicking the green “Convert” button. Just a few minutes you will get your output video. If you are tired of downloading and installing program, there are also some online video converters that can help you to do this job. So I make a list of some MOV to iPad online converters which I think are more reliable for MOV to iPad conversion. Among those online video converters, ZAMZAR Free Online Converter is worth trying. After entering the online page, you can follow the guide to convert MOV to iPad. The steps are easy to follow. There are two ways for you to import source MOV files into the MOV to iPad converter online free. You can either choose files from your local hard drive, or add files from Internet. To convert MOV to iPad, you need to choose “iPad” as output device under “Output format” drop-down list. The only way for you to receive converted files is by mail. Therefore, the correct email address is necessary. Click “Convert” button to start converting MOV to iPad. To be brief, both Leawo Video Converter and MOV to iPad converter online are competent for the conversion. 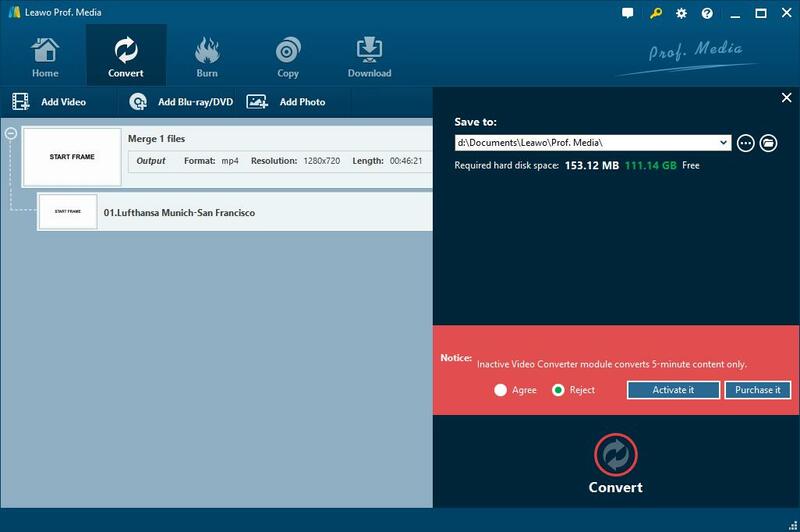 Compared with Leawo Video Converter, online converter free saves the hassle of downloading and installing software, but it requires files uploading and downloading, which means you need to access to internet when you are using an online converter free, which represents that you will waste more time downloading the output file. What’s more, it is probable that your video content might be exposed to the public. As far as I am concerned, for safer and better conversion experience, Leawo Video Converter is the best choice for you to convert MOV to iPad.